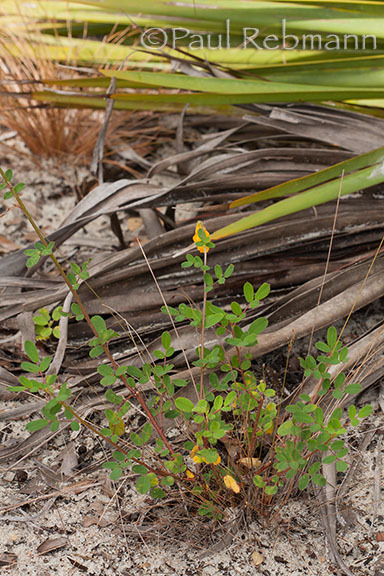 A frequent plant of the sandhills, scrub and pine flatwoods only in the Florida peninsula. 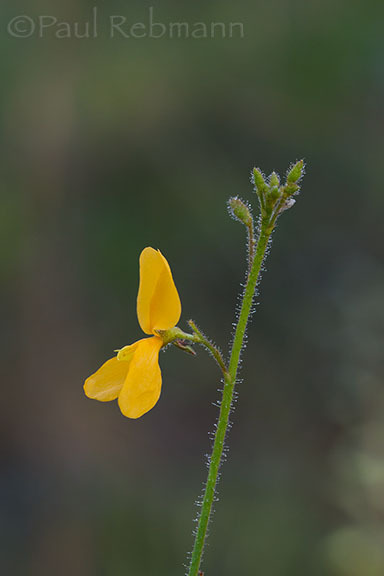 The mustard-colored, pea-shaped flowers are terminal on long stalks and typically close by noon. 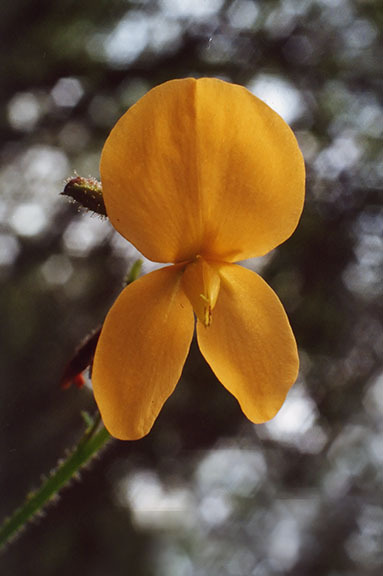 The stem, to 1 meter tall, is sticky pubescent. 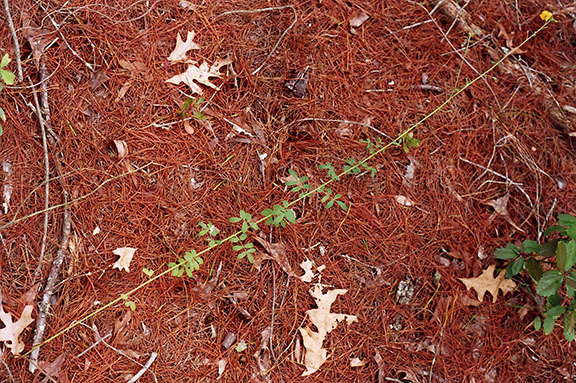 The leaves are alternate and pinnate, with 3 to 7 small leaflets. 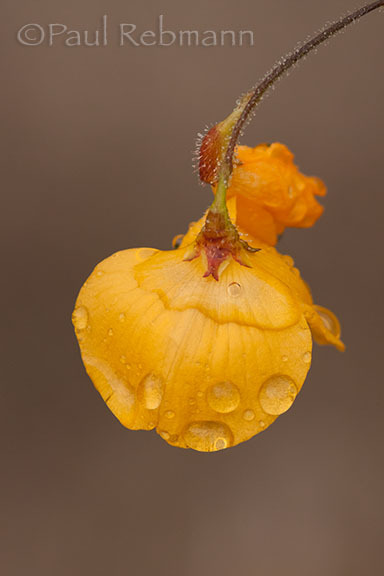 This member of the pea family is the only species of this genus. 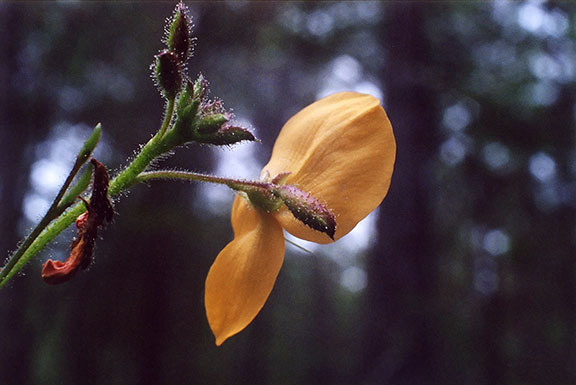 The genus is named to honor Dr. Alvan Wentworth Chapman, author of Flora of the Southern United States. Chapman was a medical doctor who moved from Massachusetts to the Florida panhandle in 1835. 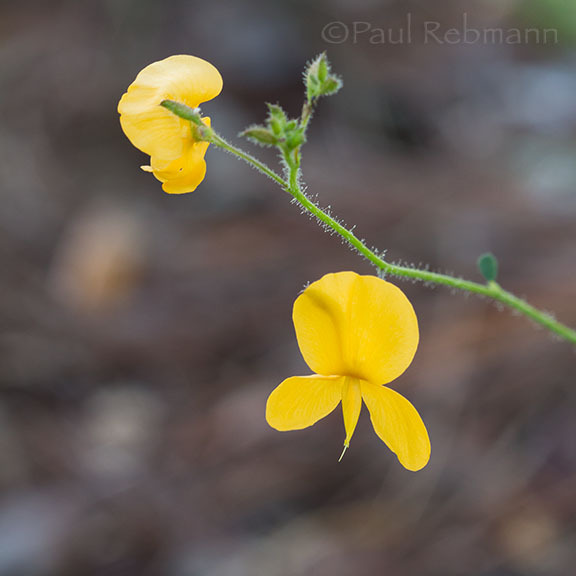 Two of these photos by Paul Rebmann were featured in the article "Dancing in the scrub" by Steve Morrison in the Spring 2009 Palmetto, the quarterly journal of the Florida Native Plant Society. 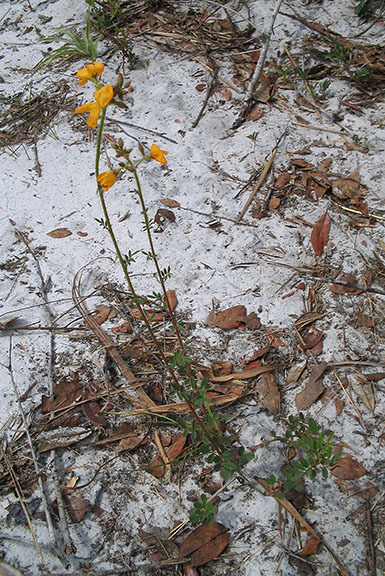 Chapmannia floridana is a member of the Fabaceae - Pea family.